The term “jihad” is understood as “The holy war” around the world but it literally means to struggle and to strive for good. Unfortunately, it is a term that has recently lost its meaning and consequently its value. Today, it stands a term that is laden with negative connotations, so much so that it has become synonymous with terrorism. The term Mujahid is a derivative of jihad and means, “one who strives”. This honourable title has to be reclaimed from perpetrators of heinous crimes and should be consigned back to the true heroes who have endeavoured in making this world a better place. In the Quran there is a broad concept called “Fasad fil Ard”. This can be fairly accurately translated as “corruption on earth”. And those who endeavour to uproot this corruption be it political, economical or even environmental are all Mujahids. They are the people who should be valued regardless of cast or creed as their relentless efforts are a favour to all mankind. Some of them have soldiered alone, while others have raised institutions that are redressing the balance towards the betterment of our planet and humanity. In the past 50 years, people who have championed issues of global significance have unfortunately not involved many Muslims. This is mainly because of a series of setbacks that the Islamic world has suffered in the modern-age. The loss of education system and scholarship was swiftly followed by loss of global political and economical footprint. As of today, the Muslim world faces the challenge for its values and identity in the face of a secular global cultural invasion on one hand and extremely radicalised adulteration of its own vision on the other. Muslim world is coming out of the trauma, slowly and gradually through education and reform. Nonetheless, their contribution in the 20th century, albeit little, will still be the topic of an upcoming article. The world meanwhile has moved forward leaps and bounds in the last century and witnessed a step change in technological progress. Several challenges have surfaced in a world that has been carved and shaped by modern western civilization. 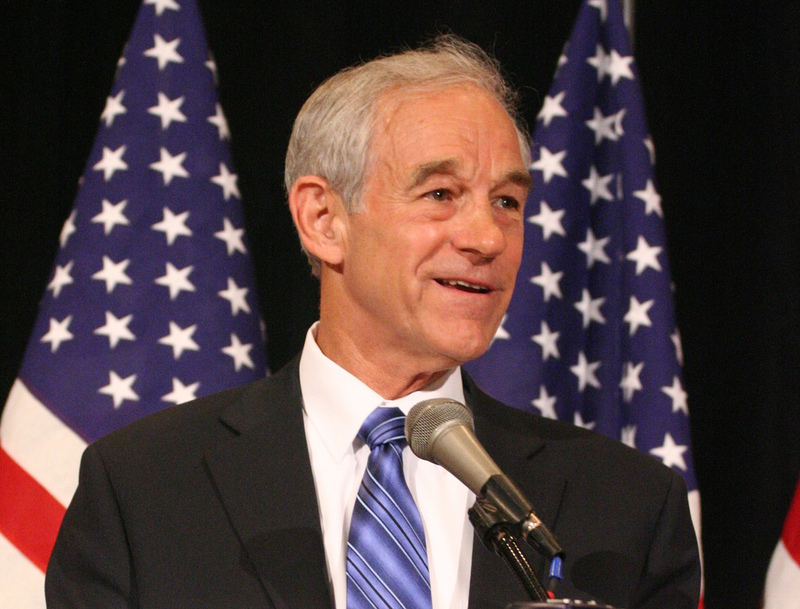 Senator Ron Paul has almost been a lone crusader in exposing the Federal Reserve and advocating the need for the long forgotten Gold standard. The two time republican presidential candidate has endured extreme hardships but stood firm to his views. During election campaigns he was blacked out by the media and shunned by corporate polity, but never withered. “Gold and silver” he says, “is the only standard on which currency notes should be issued.” In recent times, when countries are coming out of the yet another recession, it is being realized that printing money from thin air only leads to higher debts that in turn leads to inflation and joblessness. In the fast paced world of today, people have only just started to feel the perennial problem with the FIAT system i.e. the currency will always be self depreciating. This means any money kept in savings loses value and as there is no incentive in saving, people are pushed towards spending more through an existing consumerism culture. It is this system that chains people in a viscous circle of debt and more debt which Ron Paul has fought against almost all his political career. As Ron Paul has campaigned, the FIAT currency system allows the rich to grow richer and poor to become poorer. The middle class is eliminated by the current systems of unfair currency. Although there are many proponents of gold standard all across the world and many of them among the Muslim community, but it is his voice that has been the most prominent. Today, several experts in economy have turned a page and are seriously considering his propositions that saw him being ridiculed during his election campaigns. Gold and silver is the currency as per Islamic ethos and the Modern Gold Dinar, with the help of Scholar Imran Hosein is in partial circulation in Indonesia and Malaysia. 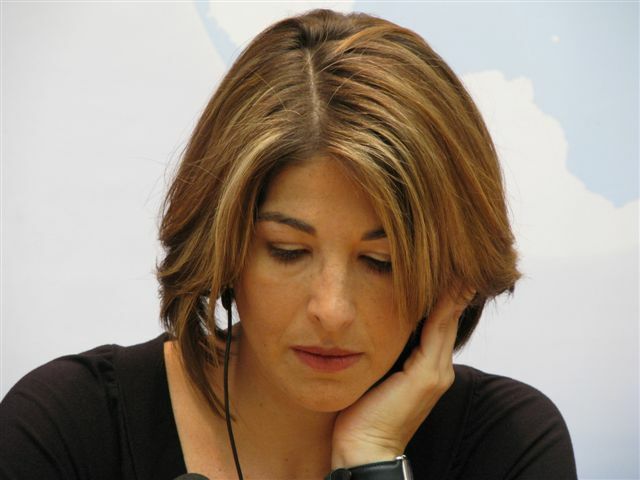 In a world that has been plagued by consumerism, journalist Naomi Klein has taken on the modern day goliath i.e. corporate globalization and the culture of brands (designer labels). She has brought forth to the societal consciousness the true face of multinational corporations and exposed their day light robbery. These corporations, as she explains, are the kingmakers of the modern age and constantly exercise their muscle in the power corridors for their excesses (The Neo-Liberalism model). Furthermore, these corporations have ruthlessly exploited people and resources in the third world. She has highlighted that contrary to the popular belief, there is no free market and there is no level playing field in any sector leave alone consumer goods. Brands that used to be about the product quality have morphed into labels that define their customers. These corporations are not only shaping our tastes and preferences but have transformed our whole culture. She has championed the cause of exploited populace; a growing number of whom have been pushed below the poverty line while being sold false expectations. Naomi’s book “No Logo” has served as a manifesto for the anti-corporate- globalization movement and will be treasured by generations to come as one of the first curtain raisers against gross cultural and financial injustice. Although her war against corporate globalization did indeed put her on the map and to this day defines her finest achievement but her work on environmentalism and her anti-war campaign is equally commendable and so is her strong criticism of Israeli policies. The American Islamic Scholar Humza Yusuf has helped create mass awareness not only among Muslims but also among the non Muslims for the need to return to true scholarship. He is a proponent of classical learning in Islam and has promoted classical teaching methodologies throughout the world in addition to prmoting Islamic Sciences. In a world that has become too crude to interpret nuances, he has actively promoted pluralism. He has also helped evaporate the dangerous and artificially forged beliefs within the Islamic creed as a result of frustration and grievances. In an era when the youth is more bewildered than ever, Humza Yusuf has been a beacon of light, against the darkness perpetrated by cultural globalization and Petro-dollar funded Neo-Wahabism. He has helped in providing counter narrative that has acted an antidote for those afflicted by the venom of terrorism. His contribution above all is that he has strengthened the bridge of shared moral values between the Muslims and the wider community, for humanity to progress and prosper. His lecture on Moral Vision of the Future (can be accessed from here) is just one of the many examples of his command on the pulse of the times. 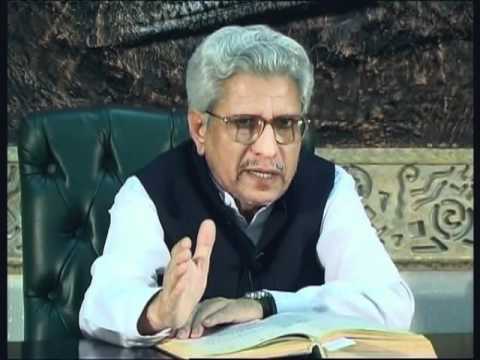 He has been a colossus figure in productive interfaith dialogues. 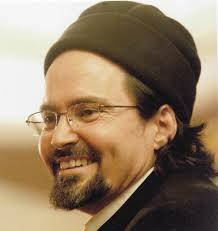 He is no doubt one of the most influential Muslim role models of the present era. 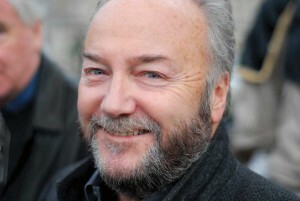 One of the most passionate figures that have stood up to Zionism in the present age is British politician George Galloway. Through his political clout and his popular broadcasts, he has become the loudest voice of the Palestinians in the west, where their plight often falls on deaf years. Being part of not only countless rallies against Israeli oppression of Palestine, he has also vociferously crusaded against wars, and in particular the illegal invasion of Iraq. In 2005, his reputation was dragged into mire by the US senate on false allegations of making fortune by selling of sanctioned Iraqi oil. He defended the case himself against the senate committee in front of a live global audience. What followed was a master class in rebuttal that left Senator Norm Coleman (the accuser) running to preserve his dignity. In the end the committee had to resolve with red herring and smoke screen tactics for their face saving. Being a brilliant orator, he has delivered some of most memorable speeches in Westminster. His best though was a his taking on Sky news’ very own Anna Botting and tearing her apart for the coverage of the conflict between Israel and Lebanon in 2006. It is one of the most played videos on YouTube. This was perhaps Galloway’s finest hour that made him an instant global icon. To this day, he fights hard to preserve the dignity and honour of the Palestinians. To this day he voices the issues that plague the Muslim world like no other. It is no surprise that because of his efforts he already enjoys a huge Muslim fan base. In an era when skepticism of news in the mainstream is justified because of the concentration of media ownership, Noam Chomsky has emerged as a Bastian of truth. Although his work in the field of linguistics alone provides him an extremely distinguished standing, but it is his determined critique of politics, foreign policy, economical systems and his anti-war activism that is acknowledged here in. The MIT professor of an extremely humble disposition is the leading critic of US policies and its intrusion that is carried out on the notion of safeguarding American interest. His criticism of US foreign policy dissects it deeper than condemnation by all other foreign offices combined. Through his lectures, in person or relayed over satellite, he has educated a global audience that have mainly included university students. With his controversial views, it is no surprise that he hasn’t enjoyed much coverage by mainstream media. Having no interest in fame has also kept him out of the spotlight. His activism though, in anti war campaigns saw him getting arrested on multiple occasions. He has fought for the “human” and prolifically written about how humanity has been reduced through technology and consumerism. His herculean knowledge, collated wisdom and the broad range of issues that he has addressed cannot be fathomed by listing out a few topics. Through his lectures and writings, he has endeavoured to bring much needed equality and balance to this world. 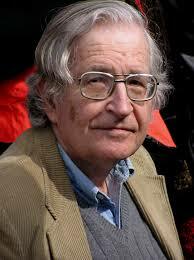 It is no doubt that Chomsky is one of the finest minds of our age. We are indebted to these heroes as they keep reminding us that global conscience is alive and kicking. They have surely played their part in purging out Fasad fil ard and the use of the title “Mujahid” for them therefore is very fitting. It is about time that the Muslim world acknowledges their contribution and rallies behind their causes.